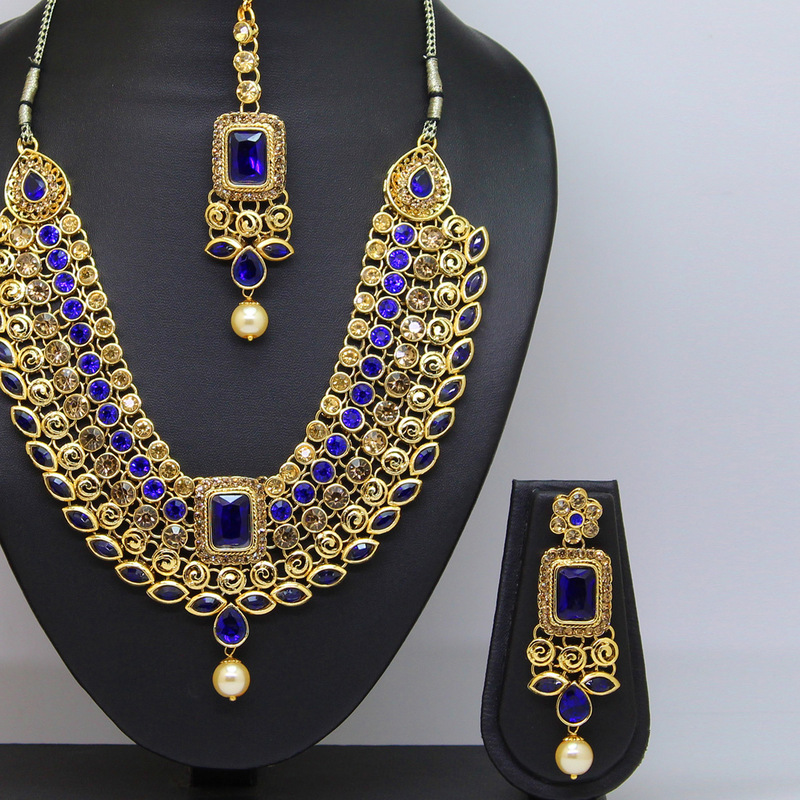 Everyone will admire you when you wear this alluring royal blue colored lovely set of necklace set with a pair of matching earrings and set of matha patti. 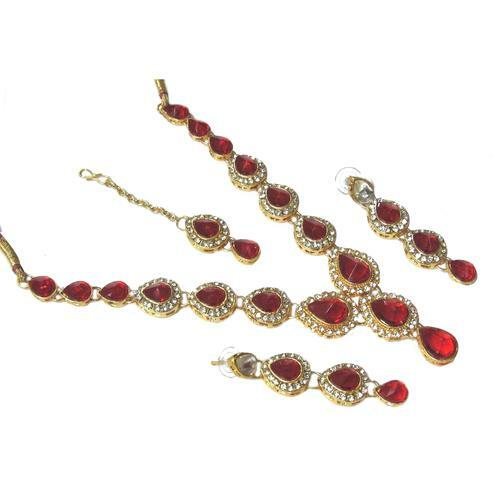 This set is beautified with stone, pearl & kundan work. 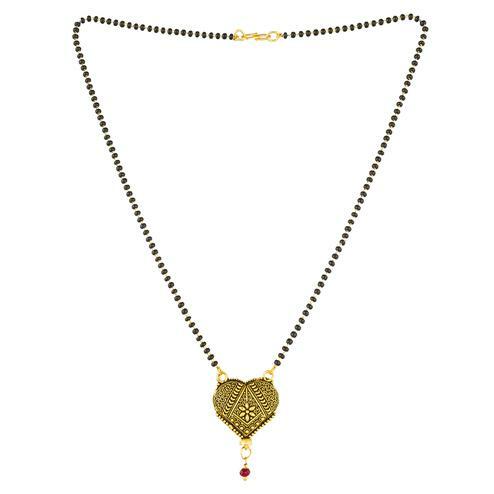 This necklace set paired with saree or even with heavy dress in same or contrasting color. 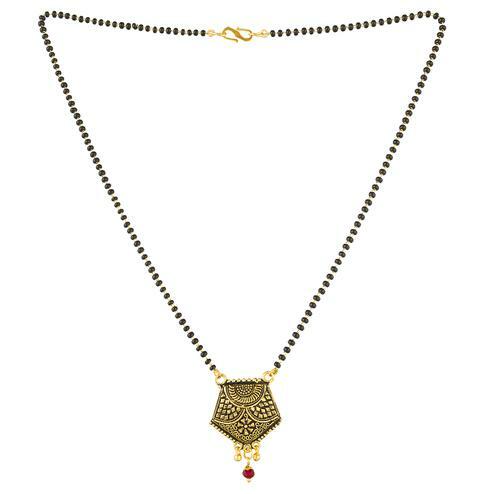 Ideal for weddings, festivals, office, casual outing, parties and social get together. 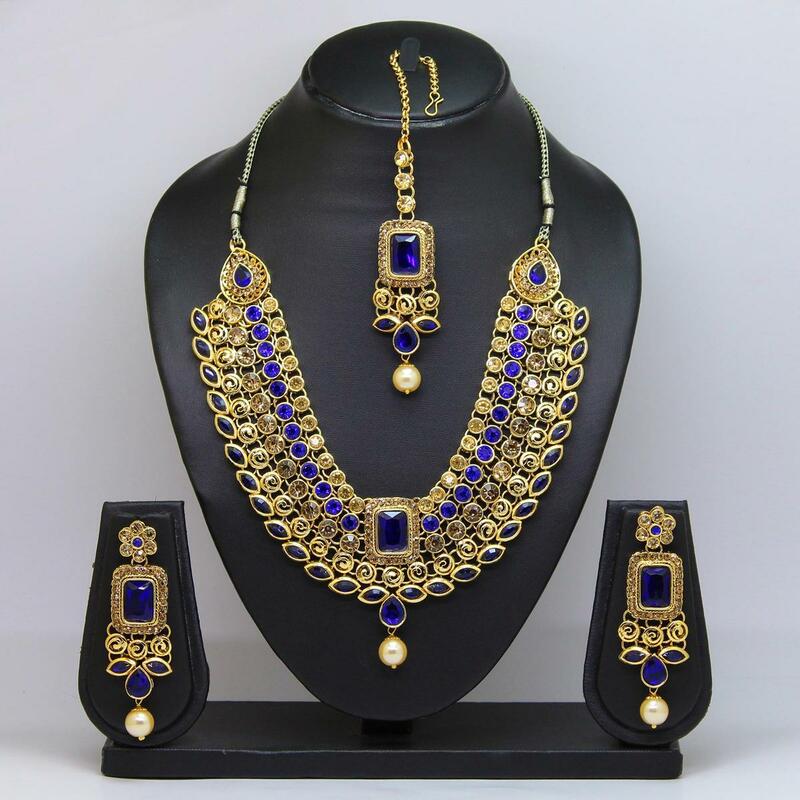 Buy this lovely set of necklace set now.